Bonus – this Christmas Card Display cost me about $5 total. 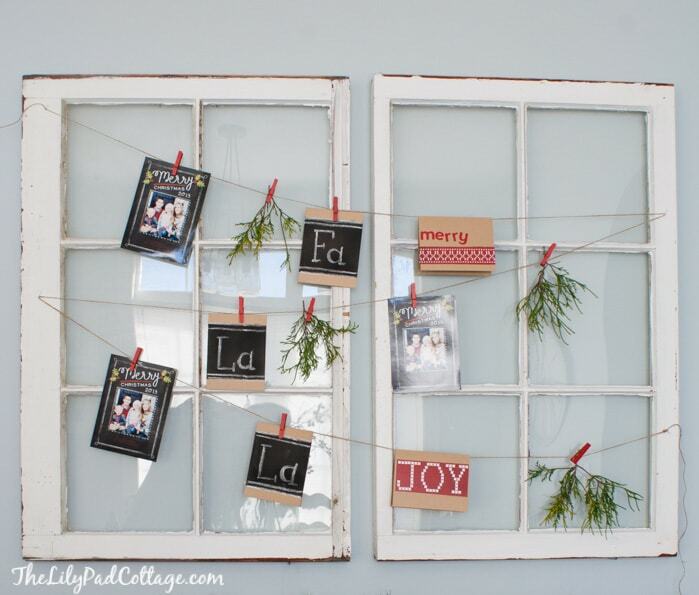 Step two – staple some twine in a random zig zag pattern across the windows. 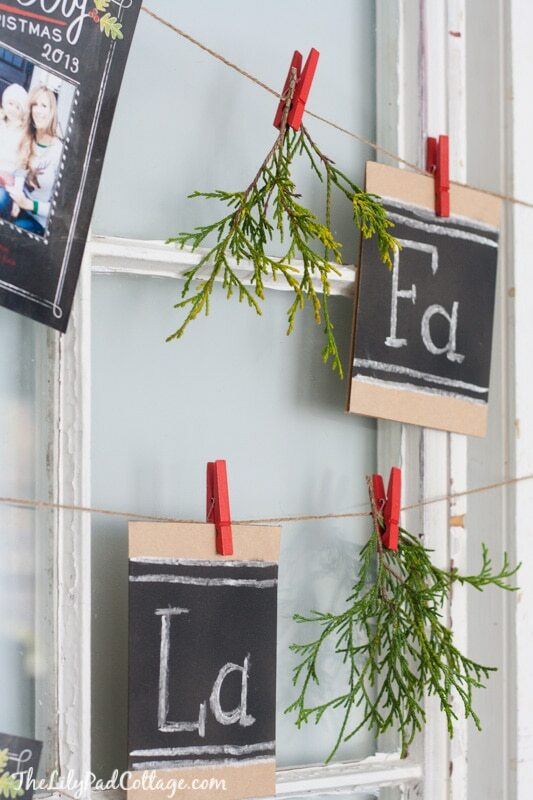 SO take all those gorgeous holiday cards and clip them to the twine with some cute little clothespins from the craft store. 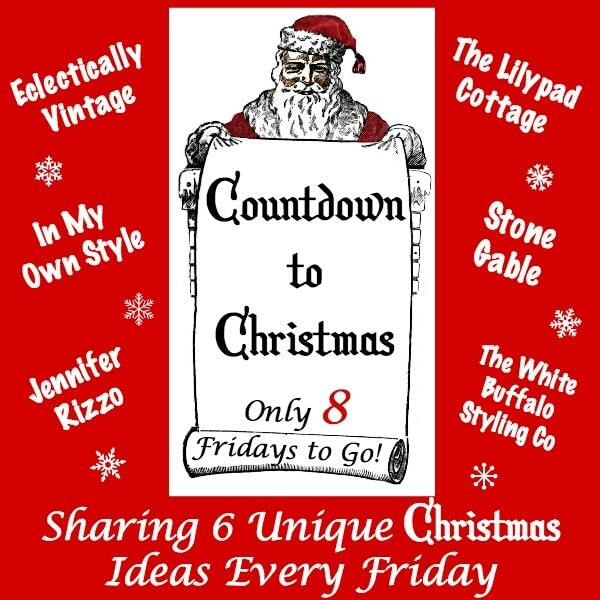 be sure to check out all the fun projects below. May I open my pretend present now??? Oh! You didn’t wrap one for me?? I am so disappointed! I was hoping to open up my gift while sipping the pretend cocoa laced with Kahlua. (I brought my own Kahlua — it’s in my huge red Baggalini purse) Well Darn!! Pretend or not your idea is very clever!! I’ll take a double of that fake hot cocoa! Anything with an old window is good to me! Merry Halloween! 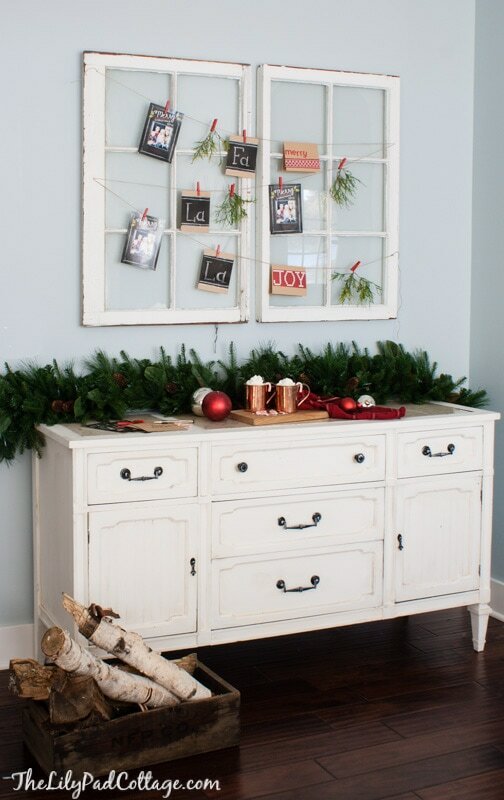 Oh, I love love love this idea Kelly! 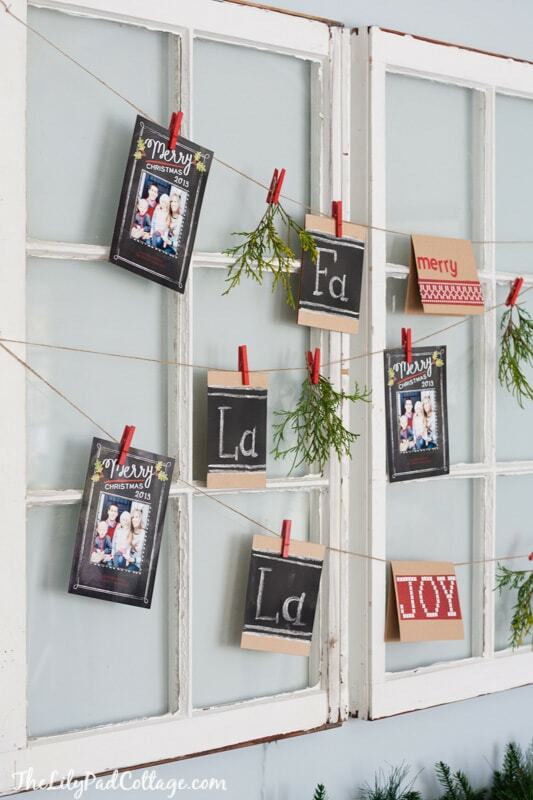 So cute and a great way to display our favorite Christmas cards!!!! Gotta share this on Social media!!! 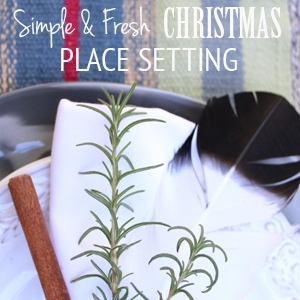 Pinning too! You think of the best ideas!!! 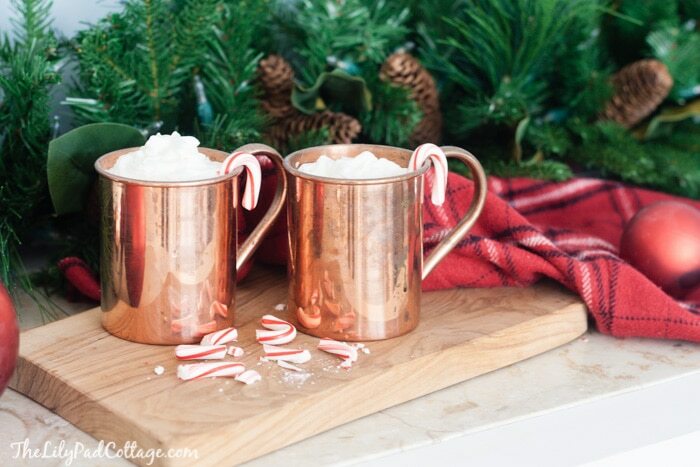 This is such a cute idea, and I also just love those copper mugs. i love this, am so doing it! where did you get the red clothespins? I actually got them at Meijer which is my grocery store, depending on where you live you may have one near you? This is way way way too cute! 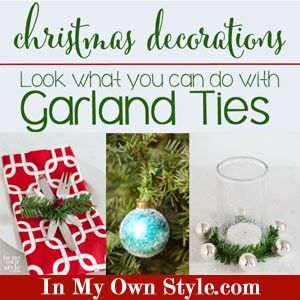 We have a BIG rod iron décor piece hung on the wall on our kitchen in our eating area, so I could totally do this idea with that piece. Thanks!